Indonesia is the world’s fourth most populous country, a continent-sized archipelago of 17,000 islands across three time zones. It is the third largest democracy in the world, with more Muslim citizens than any other state. It is the biggest economy in South East Asia and predicted to be the seventh largest in the world by 2050. An increasingly affluent middle class numbers 45 million and growing. It is also estimated to be the third largest carbon emitter in the world, mainly from deforestation. Thirteen years after the fall of Suharto, Indonesia is one of the most stable , open democracies in Asia, with a vibrant free press and active civil society, and an economy rapidly approaching investment grade as it grows at around 6% p.a. But poverty remains widespread: over 100 million people live on less than $2 per day. Economic crisis could still lead to breakdown of civil governance or a return to autocratic structures. There is an underlying risk of radicalisation which would be exacerbated by economic pressures. Health and education provision is poor, as is infrastructure (energy, roads, ports etc). Indonesia continues to suffer fromcorruption, weak institutions and erratic rule of law. Maintaining competitiveness and achieving the double-digit growth many see as necessary for real take-off will be a real challenge. Meanwhile growth depends on exploitation of Indonesia’s huge natural resources, and does not easily balance with the nation’s ambitious goal to reduce carbon emissions by 26% from business as usual by 2020. The Indonesian economy survived the recent global economic crisis well. GDP growth is set to average 6.4% in 2011 after growth of 6.1% in 2010. The economy was helped by its robust domestic consumption base and a limited exposure to exports. Structural reforms have led to some progress, but poor infrastructure, a complex regulatory environment and corruption hamper investment and growth. The budget deficit for 2011 widened to 2.1% of GDP, from 2010 actual deficit of 0.7%, to accommodate the higher costs of fuel and electricity subsidies due to higher global oil prices. After the fall of President Soeharto in May 1998 Indonesia changed dramatically. Soeharto's Vice-President, B J Habibie, took over the presidency until October 1999, when Abdurrahman Wahid (Gus Dur) was elected. After only 21 months in office Wahid was impeached for alleged involvement in financial scandals and replaced by his Vice-President, Megawati Soekarnoputri, (the daughter of Indonesia's first President, Soekarno) in July 2001. The transition was a peaceful one, which was a promising sign that Indonesia was coming to terms with its new democratic system. Susilo Bambang Yudhoyono, Megawati's former security minister, was elected President in September 2004 and re-elected in the 2009 Presidential election with 60% of the vote – the first time an Indonesian President has been re-elected in democratic elections. Constitutionally he is unable to run again in the next elections due in 2014. He presides over a vibrant economy, a thriving democracy, aconfident civil society and an outspoken press. His major challenges include significant and widespread corruption, weak institutions and lack of legal certainty. Democratic transition has allowed room for a wide variety of opinions, previously closely controlled by Suharto’s regime. Between 2000-2005 there were serious outbreaks of communal violence in Central Sulawesi, Poso and Maluku, resulting in many casualties. 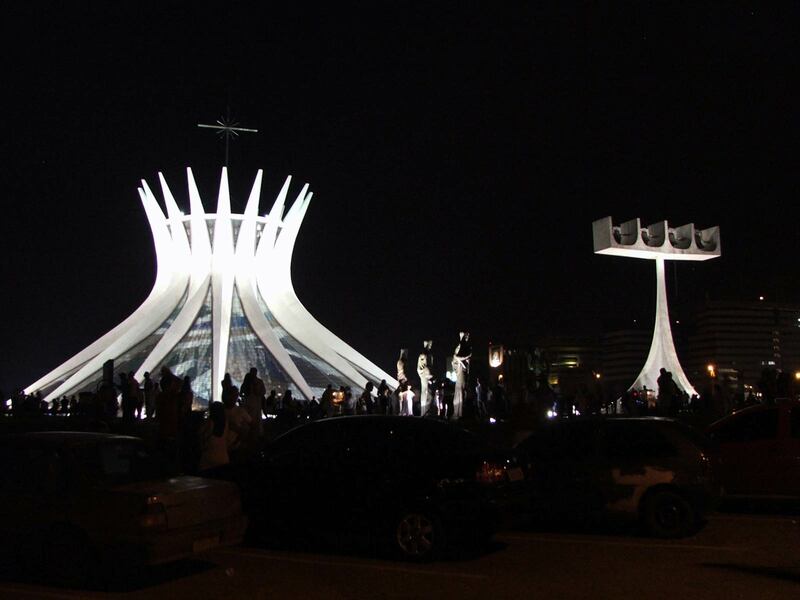 Sporadic clashes still occur, and there are occasional signs of religious intolerance between Muslims and Christians, but also among Muslim groups. There is a continuing threat from terrorism across Indonesia. The Bali bombings (2002 and 2005) are well-known and caused over 200 casualties, and in 2009 bombs exploded at two hotels in Jakarta killing seven people. There have been other attacks against Western interests, against Indonesian law enforcement agencies and against the general public. A number of countries, including the UK, Australia and the US, continue to assist Indonesia with police capacity building and counter terrorism training. The peace process in Aceh was a major achievement of President Yudhoyono’s first administration. After 30 years of conflict, both parties fulfilled their security obligations under the peace agreement signed in August 2005. The Free Aceh Movement (GAM) handed in weapons for decommissioning, and the Government of Indonesia withdrew all non-local military and police forces. The UK supported the peace process through its participation in the EU-led Aceh Monitoring Mission. Peaceful elections have been held successfully in 2006 and 2009, although there were allegations of intimidation in the run-up to them. Following the departure of the Dutch and a brief period of UN administration, Indonesia took over the administration of Papua (formerly Irian Jaya) in 1963. Irian Jaya became a province of Indonesia following a UN-supervised Act of Free Choice in 1969, the legitimacy of which is much debated. A new Special Autonomy law was passed after consultations with the Papuan people by Gus Dur's government on 1 January 2002. Papua remains the poorest and most remote region of Indonesia. A heavy security presence and long-held grievances about the governance of the two provinces fuel low-level conflict, particularly in the highland areas. 7 June - Free and fair multi-party elections. 18 May - Talks in Tokyo between the Indonesian government and GAM break down. 28 March - Major earthquake off the Island of Nias kills up to 1000 people. 15 August – Indonesian government and GAM sign Memorandum of Understanding in Helsinki, ending conflict in Aceh. 27 May - a major earthquake caused serious damage and loss of life in the Yogyakarta and Central Java provinces. 27 January – Former President Soeharto dies. 8 July – Presidential election which saw a clear victory for incumbent President Yudhoyono. 17 July - suicide bombers carried out attacks against the Ritz Carlton and Marriott Hotels in Jakarta. Seven people were killed and 55 injured. 30 September – major earthquake in Padang, West Sumatra killed more than 1,000 people. 20 October – President Yudhoyono inaugurated for a second term as President. As a founding member of ASEAN, and host to its Secretariat, Indonesia has traditionally been seen as the lynchpin of the organisation. Indonesia is keen to promote co-operation with ASEAN countries, and often takes the lead on political and human rights agendas. 2011 saw a successful Indonesian chairmanship with progress on a number of political and security issues. 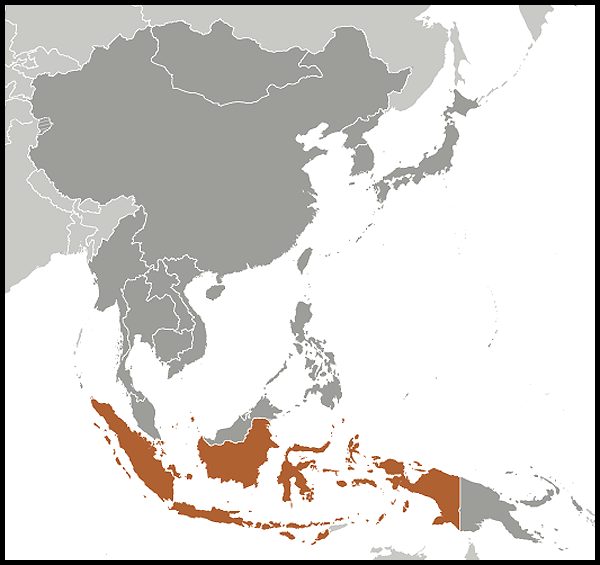 Despite occasional disputes with neighbouring countries, including over illegal immigration to Malaysia and overlapping maritime territorial claims, Indonesia’s relations with its ASEAN partners remain strong. President Yudhoyono's approach to foreign policy is based on ‘a thousand friends and no enemies’, and Indonesia sees its role as a bridge-builder (in the OIC, UN, NAM) and champion of developing countries (in the G20). The UK has strong bilateral relations with Indonesia and is keen to enhance engagement across a range of areas of cooperation. Diplomatic relations were established with Indonesia in 1949. Britain has a strong interest in seeing Indonesia develop into a healthy, transparent and stable democracy, in order to strengthen ASEAN and reinforce stability in South East Asia as a whole. Through our programme support the UK supports a number of projects that strengthen reform efforts in Indonesia. The British Ambassador in Jakarta is Mark Canning. The Embassy offers a full range of services: Commercial, Consular and Immigration. There is also an Honorary Consulate in Denpasar (Bali). In April 2011, the UK’s Department for International Development (DFID) and the Government of Indonesia agreed to focus all future UK aid for Indonesia on issues related to climate change. In the same month, DFID and the FCO established the UK Climate Change Unit in Indonesia (UKCCU). The purpose of the UKCCU is to support Indonesia in meeting its national objectives and targets on carbon emission reductions, to support the shift to sustainable, low-carbon, climate resilient economy which helps to reduce poverty, and to support Indonesia achieving a progressive global deal through international climate negotiations. The UKCCU works through partnerships with government, civil society, private sector and other bilateral or multilateral partners. Indonesia’s greenhouse gas emissions are estimated to be the third largest in the world – larger than the combined emissions of Germany, France, UK and Italy, due mainly to deforestation, fires on peatland, and, increasingly, energy emissions from fossil fuel use. As a nation of islands in an area of the world at high risk to natural disaster, Indonesia is itself exceptionally vulnerable to climate change and it is in the country’s own interests to move towards a low carbon development path. In recognition of this, in 2009 President Yudhoyono committed Indonesia to emissions reductions of 26% from a Business As Usual scenario – or 41% with international support. Action is already being taken in support of these ambitious targets, for example, in May 2010, Norway signed a Letter of Intent with the GoI to provide up to $1bn USD to help develop and implement a Reducing Emissions from Deforestation and Degradation (REDD+) strategy. 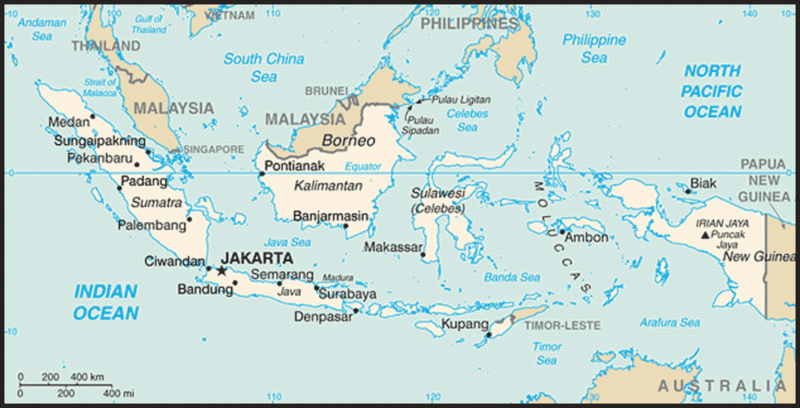 Indonesia is an equatorial archipelago of over 17,000 islands (6,000 inhabited) extending about 3,200 miles (5,150 kilometres) east to west and 1,250 miles (2,012 kilometres) north to south. It is divided into 33 provinces. The largest islands are Sumatra, Java, Kalimantan (Indonesian Borneo), Sulawesi (Celebes) and Papua (the Indonesian half of New Guinea). Most of the smaller islands except Madura and Bali belong to larger groups. The largest of these are Maluku (Moluccas) and Nusa Tenggara (Lesser Sundas). Bilateral trade is substantial and has traditionally been in Indonesia’s favour. In 2010 UK goods exports to Indonesia were worth £438.9 million - an increase of 25% over the same period last year, whilst UK imports from Indonesia have seen an increase of 13% totalling £1.3 billion. Indonesia’s Co-ordinating Board for Investment figures show the UK is the third largest investor in Indonesia. Leading British investors include Jardines, BP, Premier Oil, Shell, Unilever, HSBC, Standard Chartered Bank, Prudential, GlaxoSmithKline, Astra Zeneca and BAT. There is a growing British retail presence (mainly franchise operations) including Marks & Spencer, Debenhams, Next, Top Shop, Ted Baker and Miss Selfridge. Karen Millen is due to open in the market soon. The highest authority of the State is the People's Consultative Assembly (MPR - Majelis Permusyawaratan Rakyat) with 688 members who are elected to five-year terms. The MPR includes 560 members of the House of Representatives (DPR - Dewan Perwakilan Rakyat), the country's legislature, and 128 members of the Council of Regional Representatives (DPD). Executive power rests with the President, governing with the assistance of the Vice President and an appointed cabinet responsible to him/her. The President can serve a maximum of two presidential terms. On 20 September 2004 Susilo Bambang Yudhoyono was elected President in the first ever direct Presidential election in Indonesia. On 8 July 2009, President Yudhoyono became Indonesia’s first ever democratically re-elected president with 60% of the vote. He was inaugurated for his second term on 20 October 2009. The new Cabinet was announced on 22 October. The next Presidential election is due to be held in 2014. The Supreme Court is the judicial organ of the state along with the courts of law; these are independent of the Executive in exercising their judicial powers. A Constitutional Court was established in 2003. Local government is through a three-tier system of provincial, district and village assemblies. The overall human rights situation has improved significantly over the last 13 years. However there are ongoing allegations of human rights abuses in the provinces of Papua and West Papua and elsewhere in Indonesia. We raise credible reports with the Indonesian authorities. We believe that a long-term solution to regional conflicts can only be achieved through political negotiation and consultation with the people, and that security forces should operate within the law with strict regard to human rights and if they do not, legal action should be brought against them. We also continue to stress to the Indonesian government that alleged cases of human rights abuses must be robustly investigated and that those found guilty of involvement should receive sentences commensurate with the severity of the crimes.